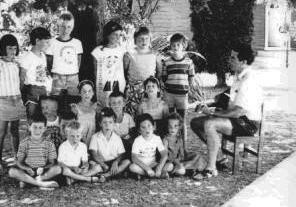 Hastings Christian School was opened in February 1987 with 16 children and one teacher. They met in a house on Murdoch Road. In 1992 the school bought the present property in Copeland Road. The secondary school was started in 1998 with Year 9-10. We integrated in October 1999. In 2008, the school was granted permission to extend through to Year 13. 2009 was a year of considerable change. The number of staff employed by the school doubled and two new classroom blocks were opened in order to cater for the delivery of the senior curriculum areas. The school taught from years 1 to 12. 2010 was the first year that the school offered education from Year 1 to 13. The building programme didn’t slow down with three new classrooms being completed in time for the Primary and Intermediate school to move in to. In 2012, the Proprietor purchased the neighboring 1.3 hectare property. The school was then able to open a newly refurbished technology suite for food, fabric, and hard materials in time for the start of the 2013 school year. During 2013 the Proprietor also purchased three large quality prefabs and had them moved on to the property to help cater for the increasing secondary school requirements. In 2014, the Ministry of Education granted a roll cap increase from 220-280 students. A revamped staffroom and new offices for the senior management were completed. Building a hall/gym and additional food and fabric facilities.